Nuclear medicine is a specialized form of radiology. Patients are given a radioactive substance either by mouth or intravenously that collects in specific body organs. 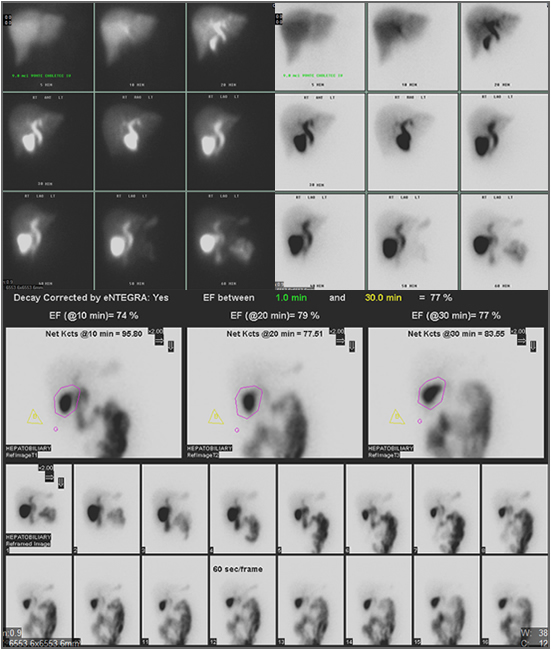 Then the gamma camera detects the energy being emitted from that substance and an image can then be captured. Nuclear Medicine scans are typically painless and patients are exposed to no more radiation than in a common X-ray. 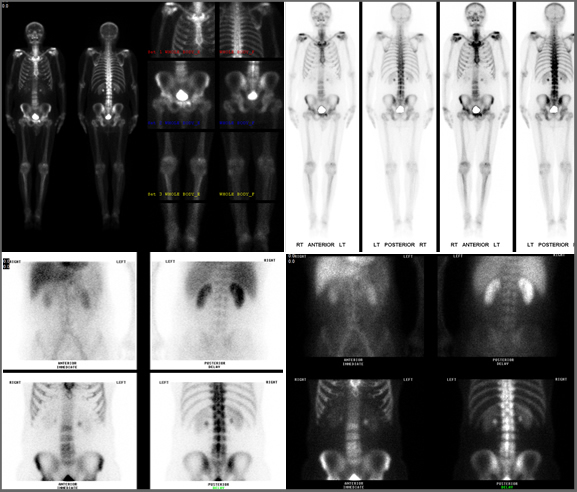 Images from nuclear medicine scans can assist the physician in diagnosing many conditions and disease. Assessing organ function can help physicians to detect infections, tumors, and other disorders. The radioactive substance is a medicine called a radiopharmaceutical. The type of radiopharmaceutical that will be used is determined by the organ system of the body that is being evaluated. This is because some compounds collect in certain organs better than others. The length of time that it takes for the dose to travel to the desired organ can vary greatly depending on the type of scan. It can take as much as several days and as little as a few seconds. A scan can generally take anywhere from 20-60 minutes. The patient must remain as still as possible while the images are being taken in order to get the clearest images possible. A series of images may be ordered to show how an organ functions over a period of time in order to get the most information possible. What Will I Experience During My Procedure? Aside from mild discomfort from the injection of the radiopharmaceutical in those tests that require it, nuclear medicine exams are painless. All that is required is that the patient remain still while the pictures are being acquired. The small amount of radioactivity will usually be eliminated through the urine or stool. Any remaining radioactive material will disappear over the next few hours to few days. Typically there is no special preparation for a nuclear medicine test. Although, your physician may ask that you miss a meal before your test if your procedure requires imaging of the stomach or gallbladder. Also, you may be directed to drink plenty of water for tests of the bones and kidneys. If you have specific questions, you may call and speak to a technologist.